"How have you stayed alive this long?!" Lionsgate has revealed one more short official US trailer for the summer action comedy The Hitman's Bodyguard, about the world's best bodyguard assigned to protect a notorious hitman who has been killing his clients all along. We've already seen plenty of trailers for this absurd comedy, but why not one more to top it off. 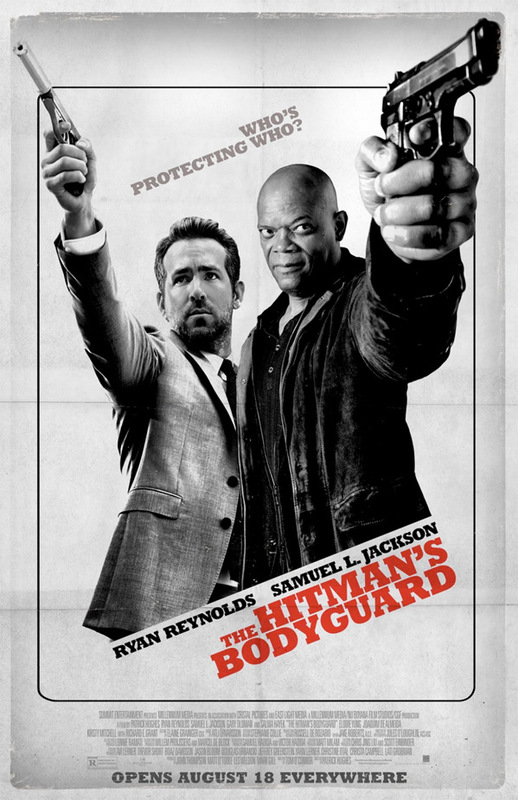 Starring Ryan Reynolds as the bodyguard and Samuel L. Jackson as the notorious hit man named Darius Kincaid. Also featuring Gary Oldman, Salma Hayek, Elodie Yung, Joaquim de Almeida, and Sam Hazeldine. This movie might be good, just because of the dynamic between Jackson and Reynolds, but this new trailer doesn't have much to offer aside from a few jokes. All the other trailers before were much better, but I'm still looking forward to seeing this. Have fun.